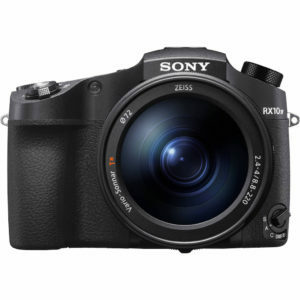 The latest models in the Sony RX series are all about exceptional speed, video performance and super slow motion capabilities, and the RX10 mark IV – successor to the RX10 mark III – is no exception. The design and button layout is essentially the same – indeed the only things that have really changed are the inscription of the name on the front and the addition of the AF-A step on the focus lever. What’s new, you may wonder? Well, there are few details here and there but it’s mainly the hybrid autofocus system and superior continuous shooting speeds inherited from its compact cousin the RX100 V that set the RX10 mark IV apart from its predecessor. Ethics statement: The information supplied in this article is based on official specifications. We were not asked to write anything about these cameras, nor were we provided with any sort of compensation. Within the article, there are affiliate links. If you decided to buy something after clicking the link, we will receive a small commission. To know more about our ethics, you can visit our full disclosure page. Thank you! 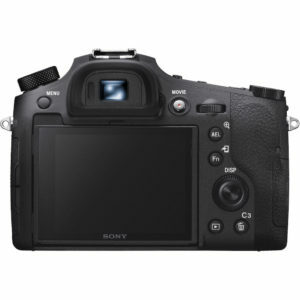 The two cameras share a 1-inch type 20MP CMOS sensor with the same ISO range. However the updated BIONZ X image processor of the new camera should improve the high ISO performance a little. Both sensors feature stacked technology (Exmor RS) which means that the sensor structure includes a DRAM chip that allows the camera to process more data and have a faster readout. It is what makes the high continuous shooting speeds and high frame rate slow motion video possible. 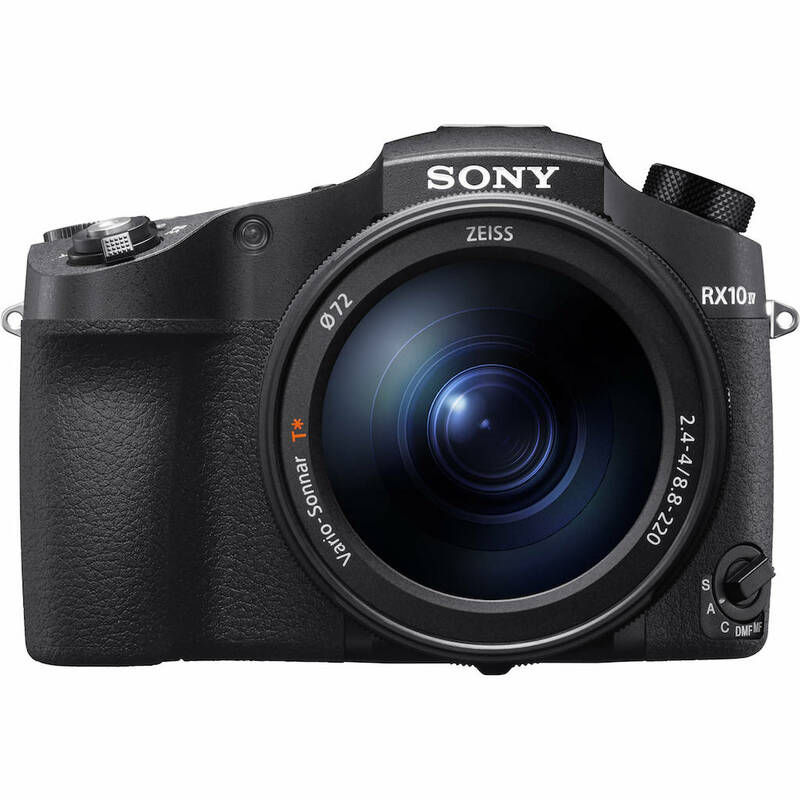 The RX10 IV has an updated version of this sensor that includes a new front-end LSI chip to increase the speed and buffer memory. It is also responsible for the faster burst speeds described below. The RX10 III uses an older contrast detection AF system with 25 points. It offers decent performance but definitely struggles more in video mode. The RX10 IV has 315 phase detection points that cover 65% of the frame, in addition to the 25 contrast areas. The High-Density Tracking technology ensures more accuracy by concentrating as many AF points as necessary on the subject. The new AF is faster (0.03s vs 0.09s on the mark III model) and improves tracking for stills and video when recording in 4K (twice as fast according to Sony). In movie mode you can take advantage of specific settings to control the speed and responsiveness of the AF (AF Drive Speed and AF Tracking). The mark IV camera has an additional focus mode called AF-A where the camera automatically switches between Single and Continuous AF. The EyeAF mode is fast and more accurate thanks to the phase detection points. There is a new setting called Focus Area Recognition: you can assign a frequently used focus area to a custom button to recall it quickly. 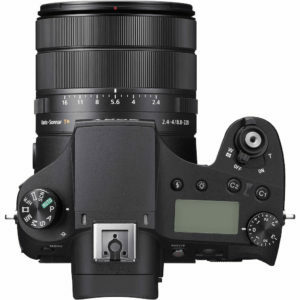 The RX10 mark III already had excellent burst capabilities with a maximum of 14fps. However if you wanted to use continuous AF, the speed would slow down to 5.5fps. The RX10 IV can do an impressive 24fps with AF/AE Tracking. The blackouts between shots in the viewfinder have been reduced when shooting at this high speed. Concerning the buffer capabilities, the new camera can record up to 250 JPGs (Fine quality) at 24fps, which is clearly superior to the 50 frame capacity of the mark III. One of the most interesting features of the RX10/RX100 series is the super slow motion capabilities with speeds as fast as 1000fps (40x slower) when selecting the dedicated HFR mode. With normal 1080p recording, the camera can manage a more than decent 120fps. With HFR the quality decreases in comparison to the normal Full HD mode but still remains good considering the high frame rate. 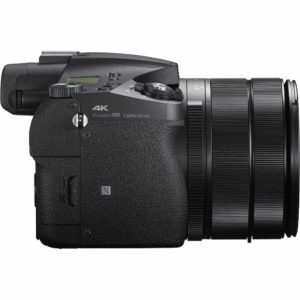 With both cameras you have two options with HFR: Quality priority and Shoot time priority. As you can guess, the latter allows for more recording time but decreases the resolution further. The difference between the two is that the mark IV can record for longer in the two modes: 4s in Quality and 7s in Time priority, whereas the RX10 III does 2s and 4s respectively. Below you can see a video recorded with the RX100 mark IV, the first RX camera (with the RX10 II) to feature this technology. The RX10 IV has a new rear LCD monitor with 1440k dots and touch sensitivity. With the latter you can change the focus point or use the screen as an AF pad when composing with the EVF. Both cameras feature several picture profiles designed for video including log gamma curves. The RX10 III uses the S-Log2 type while the mark IV get S-Log 3 gamma as well. Another interesting addition to the RX10 IV is Proxy data recording: when recording 4K video, the camera can also store low-bitrate proxy files for faster proxy editing in post production. 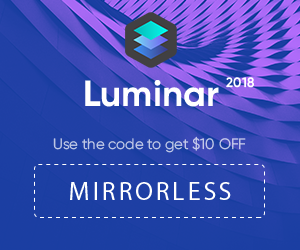 This is especially useful if your computer is not powerful enough to deal with intense 4K editing. Focus peaking has been improved to deliver more accurate contours on the focus region when using manual focus or direct manual focus modes. Sony has introduced a few new options to facilitate customisation. First there is the My Menu page where you can save various menu items to access them more quickly. The second is the possibility to save custom exposure and drive settings and recall them by pressing and holding a custom button. A small addition to the RX10 mark IV is Bluetooth connectivity that allows you to record location information with your mobile phone and dedicated app. One of the most relevant differences between the new camera and its predecessor is the price. 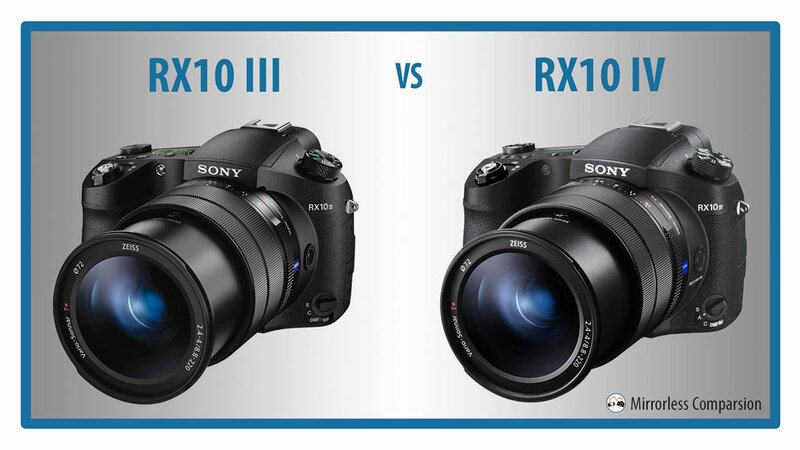 The RX10 III can be found for around $1300 / £1400 while the new RX10 mark IV will be more expensive at $1700 / £1800. The four different models in the RX10 series are advanced “bridge” cameras that try to combine a compact design with advanced features normally found on larger and heavier cameras. Now that the autofocus has been updated to a hybrid system, there is no doubt that the RX10 IV is an attractive solution for those looking for a “jack of all trades” camera that is smaller than semi-pro camcorders, yet capable of very good still and video quality. That being said, the crazy continuous shooting speed of 24fps might not be of interest to everyone. Granted, a fast autofocus system is always welcome but the high price might put off more than one potential buyer. Let us know what you think in the comments!